I joined UniCamp when I was 16, and never expected my involvement to go as far as it has gone today. 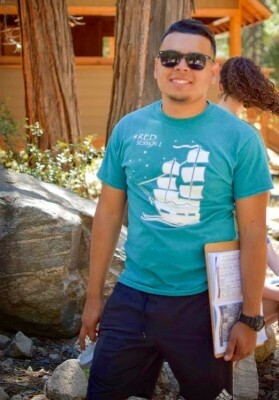 The year I did UniCamp as a camper I was also participating in another summer program led by Project GRAD Los Angeles. I have been through camp as a volunteer counselor for two years. I then became a Head Counselor Assistant and now a Head Counselor this year. It is funny how things work out because this is the second year I get to lead an initiative that directly works with Project GRAD. Being able to work with kids that come from my high school and community drives me to create an unforgettable week of camp. I was once in their shoes, and I see myself in each and every one of them. Up at camp I see the potential and the incredible things all campers are capable of, and there is no doubt in my mind that they will succeed in anything they do. It is an amazing opportunity to be able to be on all sides of camp, but it has felt even better knowing I am directly impacting kids just like me. Red is a fourth-year political science major/education minor and Head Counselor of Session 2 (2016). Red will be working with Project GRAD Los Angeles as Head Counselor of Session 2, an organization he attended camp with as a high school student.